Nissan have confirmed that they are scrapping a multi-million pound investment in Sunderland following continued Brexit uncertainty. The new next-generation X-Trail car was to have been built in the city following an announcement which was made in 2016, but which has now been reversed. “Nissan Motor Company Ltd. today announced that the next-generation X-Trail for the European market will be produced in its Kyushu plant in Japan. This model was previously planned for production in Sunderland, UK, as announced in 2016. 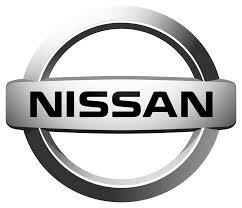 “Nissan is investing heavily in new technologies and powertrains for the next generation of vehicles in our Sunderland plant. To support this we are taking advantage of our global assets, and with X-Trail already manufactured in Japan, we can reduce our upfront investment costs. “Nissan’s announcement is a blow to the sector and the region, as this was to be a further significant expansion of the site and the workforce. The company has confirmed that no jobs will be lost. They have reiterated today their commitment to the UK by continuing to manufacture in Sunderland the current Qashqai, Leaf and Juke models and the new Qashqai model from 2020.